Dr. Li was born in Nanking, China and came to the US in 1949 to obtain higher education, following a childhood in Havana, Cuba, where his father was in the diplomatic service as Chinese Minister to Cuba (1939-1947). He attended Harvard College, then Harvard Medical School and came to New York City for post-graduate training in internal medicine and pathology at New York University-Bellevue Hospital. For 25 years, he was successively Director of Pathology and Laboratories at two New York City municipal hospitals affiliated with Montefiore Hospital in the Bronx. In the early 1970’s, he introduced to his hospital in the south Bronx the first computerized laboratory report system within the hospitals run by the Health and Hospital Corporation, thereby making lab reports more readily accessible to the practicing physicians. 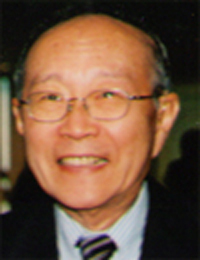 In 1992, Dr. Li became the Chairman of Pathology at the Long Island College Hospital in Brooklyn until his retirement in 2005. Dr. Li somehow found time to write the 40-year History of Chinese American Medical Society, entitled “CAMS at 40: 1963-2003” (see cover at left), published in time for the Society’s 40-year celebration. It is an illustrated history that served as a base for CAMS’ 50 year history book now in preparation. 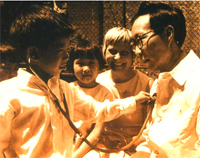 Similarly, when the Charles B. Wang Community Health Center wished to commemorate its 40th Anniversary, Dr. Li was an active member of the Committee that published a history book of the Health Center, entitled “From Street Fair to Medical Home: 1971-2011”. Dr. Li was President of the Medical Board of Morrisania City Hospital in the Bronx in 1973, President of the Pathologists’ Club of New York in1989-90, and President of Chinese American Medical Society (CAMS) in1991-93. He held the rank of Associate Professor of Pathology at the Albert Einstein College of Medicine in the 1970s and 1980s and later a similar position at the State University of New York at Brooklyn. Dr. Li was the recipient of the CAMS Special Community Service Award in 1998, Department of the Year Award at Othmer Cancer Center at Long Island College Hospital in 2001, and was the Honoree of Charles B. Wang Community Health Center in 2005. One aspect of Dr. Li was perhaps not well known by his colleagues, but was very much appreciated by me. He has a superb command of the English language. For many years I was in charge of the CAMS’ Newsletter. Every issue was proof-read by him, with the English properly corrected. I consider this a real luxury.